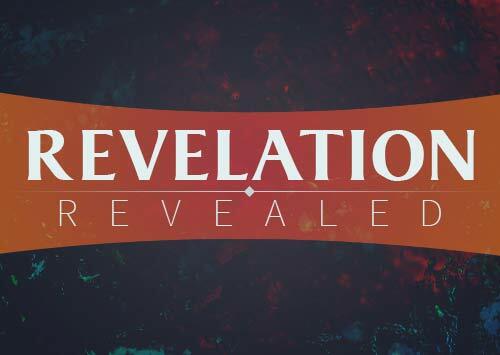 Join Jim Bakker on an epic journey through the Book of Revelation in Revelation Revealed and see these Revelation events unfold before your very eyes using examples from motion pictures and real life events! Read the Scriptures along with Bakker, complete with direct translations and word studies in the original Greek and Hebrew to enhance your understanding of this prophetic text. In these 28 lessons, youll learn what the Bible says is coming and the steps you can take to be prepared! Learn what is coming in these 28 lessons and learn the steps you can take to be prepared for what is coming! 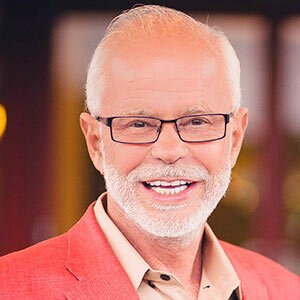 Pastor Jim Bakker, host and founder of The Jim Bakker Show is a pioneer of Christian Television. From humble beginnings, he rose to build one of the largest ministries in the world. As a young man, Pastor Bakker was called to make Jesus real to the world. During the golden era of television, he was divinely inspired on what medium he could use to do just that. He dreamed of a night-time Christian talk show-one that could display the format and quality of The Tonight Show hosted by Johnny Carson. In 1966, his dream came true. While hosting Come on Over, a childrens show, on Pat Robertsons fledgling Christian station in Virginia, Pastor Bakker became the founder and host for the first Christian talk show, The 700 Club. For eight years, Pastor Bakker hosted the ground-breaking variety show with the top ministers and singers of the day. He and his family later joined Paul and Jan Crouch in California to pioneer a new television ministry. Pastor Bakker was the first President and a Founder of Trinity Broadcasting Network. In 1987, Pastor Bakker resigned as President of PTL after a moral indiscretion he had committed seven years earlier that was brought to the publics attention. PTL was placed into bankruptcy by its new management and in 1989 Pastor Bakker was indicted and sentenced to 45 years in prison on charges of overbooking the lodging space at Heritage USA. Pastor Bakker was re-sentenced in 1991 to 18 years and then later reduced to eight years in Federal prison. He was released on parole in 1994 after serving five years. On July 22, 1996, a Federal Jury ruled that PTL was not selling securities by offering Lifetime Partnerships in Heritage USA, affirming what Pastor Bakker said since the very first day he was indicted. His case was overturned and the judge was dismissed from the case. In 1998, while working in the inner-city ministry of the Dream Center of Los Angeles, Pastor Bakker met Lori Graham. After an abusive marriage of years of substance abuse, Graham founded a ministry of women who were suffering the emotional scars from abortion. They married later that year and dedicated their lives to ministry. In 2002, the Bakkers expanded their family with five children from the inner-city of Phoenix where Lori B. had ministered for years. In that same year, they were offered the opportunity to move to Branson, Missouri to begin The Jim Bakker Show, which later launched in 2003. The Jim Bakker Show is a daily broadcast, taped on location at the new Christian Retreat Center, Morningside, located just outside Branson, Missouri. Pastor Jim is considered to be one of todays experts on the book of Revelation. Since prison, he authored I Was Wrong, The Refuge, Prosperity and The Coming Apocalypse, and more recently Time Has Come. In 2015, Pastor Bakker relaunched the PTL Television Network. For He hath said, "I will never, never, never leave thee, I will never, never, never forsake thee." God loves you, He really does!